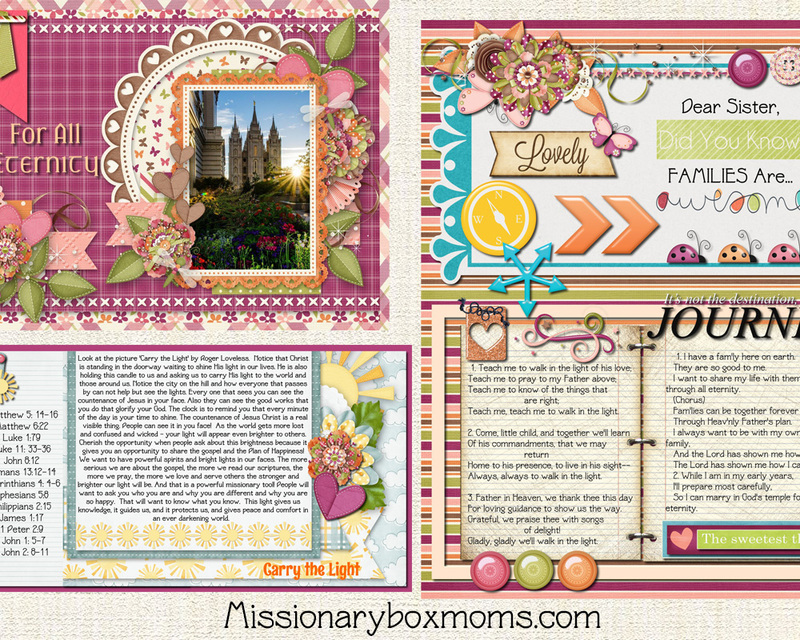 This ‘Families are Forever – Missionary FHE’ kit was designed to help you put together a Spiritual & Fun Care Package that focuses on Missionary Object Lessons and fun new teaching ideas for your Missionary. The Box Flap Designs & Printables have over 60 beautifully-coordinated pieces – all for only $21.95. We can also customize your kit with the name of your Missionary and their Mission Name for an additional $5. ✔ 1-Page with Custom Tags that Can Be Used on gift bags or as desired in your box. ✔ 3-Pages with a ‘Plan of Salvation’ kit – One in English and One in Spanish. ✔ 8-Page with Custom Tags, Quotes, and Lesson Plans that can be used to put together 8 Family Home Evening Lessons or used as desired throughout your box.